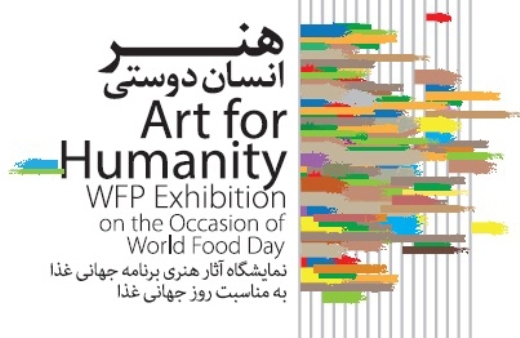 The Art for Humanity WFP Exhibition opened in Tehran with the UN expressing hope that it could effectively deal with the global hunger challenge. The Art for Humanity WFP Exhibition opened in the presence of the UN representative in Iran and some foreign diplomats residing in Iran at Niavaran Culture House on Friday. Appreciating the enthusiasm and love with which the Iranian artists have contributed their works to the WFP philanthropist event, he expressed hope that thanks to proper planning and appropriate distribution of food, the UN would manage to address the hunger challenge in the world effectively. The opening ceremony of the Art for Humanity WFP Exhibition was held on the World Food Day in the presence of Deputy Minister of Culture and Islamic Guidance for Cultural Affairs Ali Moradkhani, UN representative in Iran Garry Lewis, Head of Niavaran Culture House Abbas Sajjadi, a group of artists, and foreign countries’ ambassadors and diplomats in Iran. According to IRNA, during the first hours after the opening of the exhibition art works worth one billion rials ($33,000) were sold to the philanthropist visitors. The exhibition will be open to public till Friday October 24.